There’s a few places you can go for help. so if you ask a question we’ll see it no matter where it’s at. Check out the Documentation Library. We’re always expanding this section to include new screencasts and instructional articles. 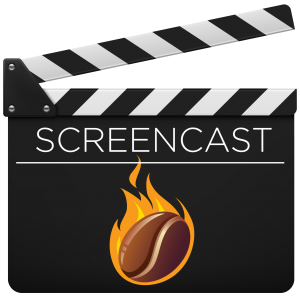 The screencasts are a great place to start if you’re new to Roastmaster. Use the main site search bar. This will search every article, with the exception of the FrogPad Forum. You can comment on virtually any article you come across on the site. Comments are no longer held for moderation, so you should see them appear as soon as you submit them. 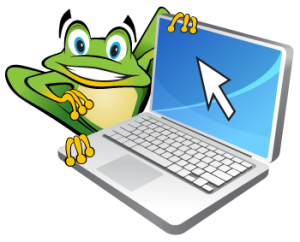 The FrogPad is our user forum, designed to let you control the threads and ask any question you like. Feel free to open threads and ask questions, or join existing discussions. Good taste and manners are the only rules on the FrogPad. Send us an email describing your question or issue. Please be specific – list the version of Roastmaster and iOS you are using, as well as the device it is running on. We read and reply to everything, and will get back to you quickly with an answer. Hi a question for you, is there a wireless probe that works with roastmaster, and where can i find them. Sorry the site is in a bit of disarray this week while I restructure. I’m adding a documentation section, and place for tutorial videos – trying to get things streamlined and organized. As of version 4 on the app store, you can purchase the Data Logging option and operate with Phidget Temperature Sensors. There’s a parts guide here http://rainfroginc.com/wordpress/apps/roastmaster/introducing-version-4-0/ See the link in the Data Logging section. At the moment, only K type thermocouples are supported. I plan on adding support for J type in the next update. Due to lack of USB in iOS, Phidgets is the only hardware capable of communicating with Roastmaster in an Apple-sanctioned way at the moment, but the temperature sensors perform beautifully. P.S. I realize there is always a learning curve and this is no exception. But as I try to see if “any” of the attributes I entered in prior to roasting–roaster, bean, room temp, weight, etc.–none of these show up when I enter the “Roast Details” screen for the roast that just took place. Why is this? The thermocouple may not have been reading correctly (ala no “save” button) but the other attributes should have been saved and now displayed. That should not be happening. Whenever you hit the “Save” button the database is saved. Roastmaster also saves the database at many different points during a roast to guard against possible crashes, etc. where the database might not have a chance to save. I replied to your email. Can you try making a test roast, recording a few details, saving, closing, then opening it up again to verify that the details are still there? I would like to speak with you about using your software with the Artisan roaster – would you please give me a ring? I’ve put my phone # in the website field. Thanks! Hi Jeff. Sure, I’ll call you tomorrow (Wed) at 12 noon EST. Sound good? We have an Artisan 6 on order and would like use your app. Which of the iCelsius models will work? I assume that the probe would go in the place of the factory supplied probe. Are there any issues in using an iPad with iOS 9? I’d advise against Thermistor style probes like the iCelsius or Range for the Artisan. It’s temps get quite hot, and thermocouples are better suited for that roaster. The manufacturer of the discontinued BluethermDuo is just about to publicly release the replacement for that unit. Roastmaster will support it just as soon as its public and I can upload an update to iTunes. I’d advise waiting for that, or using Phidgets if not. As for iOS 9, as long as you are on the latest build (9.3.5 I believe), there are no Roastmaster issues that I am aware of. Thanks Danny. Our roaster arrives very soon and we’ll be roasting experimentally. Hopefully the replacement model won’t take a long time to be released. Keep an eye on Thermoworks.com for the “ThermaQ Blue”. I’m not sure where you’re located, but it’s already on their UK site. According to my rep, it should hit their US site shortly. I’ve finished adding support to Roastmaster – it’s working great with test unit. Once testing is done, I’ll release an update. So, hopefully very soon! P.S. My phone number is (252) 531-4096 if you care to call me. The replacement is available here. It’s the same scenario, but easier setup and uses Smart Bluetooth (LE). Roastmaster offers full support. May I know the followings are enough for building up temperature measuring system? Yes, those components (and the thermocouples) will form a full system that will work with the current version of Roastmaster (10.1). However, the next version of Roastmaster (11) is currently in review with Apple, and introduces support for their VINT line of products, including the RTD sensors and their new (cheaper) SBC 4. The new SBC was not available for testing when I submitted to Apple, but the hardware should not matter – it should work out of the box with the upcoming Roastmaster 11. Any other questions – just let me know. I’m looking for a software for a new machine where is a Phidget 1046. Do You have a windows version or only iOS? Sorry – Roastmaster is only for iOS at the current time. Thank You for answer. I have a phidget in a roaster but second one is broken in two months and I can’t use a RoastMaster for which I buy iPad Air. I’m waiting for a new one. In mean time, I buy a iCelsius for a iPad 3 and learn to use a software. Do I have for every single roasting choose a curve and próbę or it is possible to mark one probe as a default curve for all roasting. You can define a “Curve Template” in a roast Profile, and set the probe there. Then, when you use that profile, Roastmaster will automatically create the curve you want, and link to the probe without any input on your part. In addition, Profiles are also the means to use to target reference curves. If you have any more questions, just let me know. Do you have probes that fit a 2006 Diedrich IR-7 ? You’d have to decide and fit the thermocouples based on your Diedrich. Usually, that involves replacing a factory probe with a dual-tip thermocouple, and running one set of leads to the original factory hookup, and the other set to one of the hardware interface units that Roastmaster supports. Currently, that’s Phidgets (J & K) and the ThemaQBlue (K only). Roastmaster does support a few thermistor style probes, but those would not be robust enough for higher end machines like yours. Let me know if you have any questions – will be happy to answer them. Any plans on supporting the new ThermoWorks BlueDOT ( https://www.thermoworks.com/BlueDOT ) ? Only one probe, but 1/3 the price of the ThermaQ Blue so it would make a nice alternative. They’ve sent me a bunch of promotional emails about it. I had previously decided to shy away from thermistor probes, since they can’t easily accommodate the higher temps of larger roasters. It’s tough for me to easily convey the message that they should only be used in lightweight home or sample roasters where the temps don’t get very high. But, Thermoworks has some amazing engineers, and I’ll probably reach out to my rep for specs. I’m particularly interested in its MTTF (life expectancy). Thermistors don’t last as long as thermocouples, even under good conditions. But, since they seem to have engineered this for high heat, I probably shouldn’t discount it until I know more. I think I’ll see what they have to say. You may have been asked this before, but I haven’t found a response nor comment about it. I’m using a Sonofresco roaster. It comes with Bluetooth connectivity and onboard temperature probe. Maybe I’m missing something, and maybe it’s a software issue, but it seems all the pieces are in place for Roastmaster to work with this roaster, particularly capturing temperatures and elapsed times. Great roaster, but really wonky, limited software, so in my perfect world, there is a simple software solution to allow the onboard transceiver to talk with this iPad. Let me know. Hi Luccia – thanks for contacting me. I can’t remember if I’ve reached out to Sonofresco in the past about this or not. In any event, I sent them an email today. I would certainly be willing to add native support to Roastmaster. I constructed Roastmaster’s Bluetooth engine to make it easy to do things like this–I would just need to know their Bluetooth specifications and get their blessing. I’ll reply back and let you know what they say. Any word? Still seems a doable thing. No. I reached out to them the same day I responded to your post – back in June. My inquiry went unanswered. Those technical support departments are typically pretty small – one or two people. Might give some pull if you reach out to them with a similar request. The more they hear, the more they’ll be inclined to listen. I’m roasting on a grill (just a starting point) for my own enjoyment and have been getting some outstanding results. Adding technology including this app. Would like to add environment probe and bean pile proble, but the grill basket spins on a rotissereie, is there a wireless thermocouple to attach to the grill basket? Sorry no, not that I know of. There are means of building tiny battery-powered electronics with Roastmaster’s existing RDP (WiFi) and RBP (Bluetooth) communication protocols for rotating drums like the Gene Cafe roaster. The devices can attach to the outside of the drum and spin with it with the probe inserted through the drum wall. But, the electronics are segregated from the heat in that setup, because the heat is applied from the interior of the drum. I assume your rotisserie is fully enclosed in the grill, and any electronics would be exposed to the environmental heat of the grill. I can’t think of any way to route a thermocouple cable so that it wouldn’t become entangled in the spindle or spindle mounts. I have an iPad 9.3.5 that I’m considering using with Roastmaster, and I know it’s compatible with the latest version, but is there any chance that RM would soon become incompatible with that iOS? As a daily Windows user I really don’t want to do an Apple upgrade any time in the near future, after also investing in a ThermaQ Blue. Sorry – unfortunately, the next version of RM (targeted for Spring) will require iOS 10.1. Between iOS 9 and 11, Apple overhauled core features of the most basic view class that Roastmaster relies – UITableViewController. In the process, they fixed some bugs, and introduced others. The code was riddled with risky “patches” to circumvent old bugs in one OS, and new bugs in another – particularly with the search feature. So I dropped 9, and cleaned up the code for the coming release. To my knowledge, though, if your iOS device is not compatible with the LATEST version of an app, the App Store is supposedly smart enough to install the last compatible PREVIOUS release automatically. Now – I can’t guarantee this – only say that this is how it is supposed to work and has worked in the past. The install process from a development perspective is much different, so I can’t speak from experience. Hi, my friend bought this app and uses it in Chinese. Recently he downloaded it on his phone but it is showing in English and there doesn’t seem to be an option to change languages. He can’t read English. Is there still a Chinese version? Or is there a way to change the language? Regarding the app itself, Roastmaster will use whatever language iOS is telling it to use. That is controlled via the iOS Settings app in “General > Language and Region”. Yes, Roastmaster fully supports Simplified Chinese on both iPhone and iPad. It does not, however, support the Traditional or Hong Kong variants. So if one of these is chosen on the iPhone, that would be the reason. iOS, though, lets you set a preference hierarchy of languages for situations like this. You can tap “Other Languages…” to add Simplified Chinese to the lists of languages, and drag the rows to set the order of preference. So, for instance, if the phone is set to use Traditional Chinese, he could add Simplified Chinese via “Other Languages”, set the preference order so that it appears AFTER Traditional Chinese, but BEFORE English, and Roastmaster should run in Simplified Chinese, while the phone itself uses Traditional. This applies to all parts of Roastmaster with the exception of the “Help and Knowledgebase” section of the app. For that, Roastmaster first uses the language of the iOS device as the default. It is possible, though, to change that within Roastmaster. From the main Roastmaster menu, tap “Help”, and then tap the globe in the toolbar at the bottom. Simplified Chinese can be chosen from there if it is not already selected. Thanks for your super quick response! App language all sorted. He changed his phone language to Simplified Chinese, reinstalled, then changed the phone language back to Traditional Chinese and the app stayed Simplified Chinese.